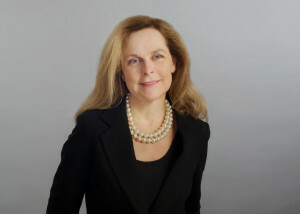 Lisa Faulkner-Dunne and Associates Public Relations is led by Lisa, and other PR professionals are brought in to work with specific clients and projects as needed. Lisa has received numerous awards including a Women in Communications Matrix Award, two PRSA Silver Anvils and a Lifetime PTA Membership award, and the Most Likely to Pick Up a Stray Dog award. She is known for creativity, her cowboy boots, and her business sense. She has the ability to see the big picture and help guide a client in the right direction, to achieve their ultimate goals. She especially loves projects that involve a community relations component, and excels at finding the perfect nonprofit match for any client. Lisa is a Leadership Dallas graduate and former Leadership Dallas Alumni Association board member, and earned a B.A. from the University of Kentucky and an M.P.A. from SMU. When she’s not wrangling clients or foster dogs, or buying cowboy boots, she provides PR assistance to the RISD Excellence in Education Foundation and is a 15-year volunteer at Ronald McDonald House of Dallas. Her favorite getaway is trail-riding with her Quarter Horse, Dax.